My mother met with an accident on Friday 29th April 2016. She got severe head injury and unconscious as of now around 9 days. 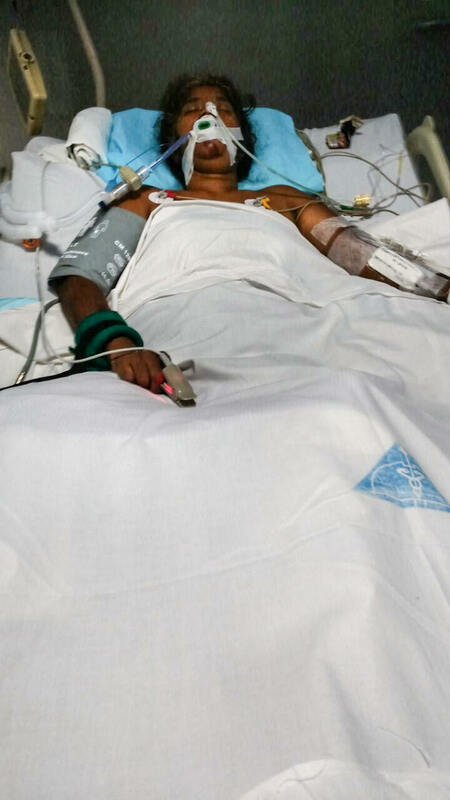 She has been admitted in ICU in Porur Ramachandra hospital. Since we do not have much economical background we do not have source to manage the hospital expenses.I am raising funds for her surgery and hospital charges which is forecasted around 8 - 9 lakhs. I need the amount as soon as possible. I want all of your prayers for her recovery. Thanks a lot for all your support!! This is Sriram from Milaap. We are very happy to share with you, the news about Mrs Banumathy's full recovery. 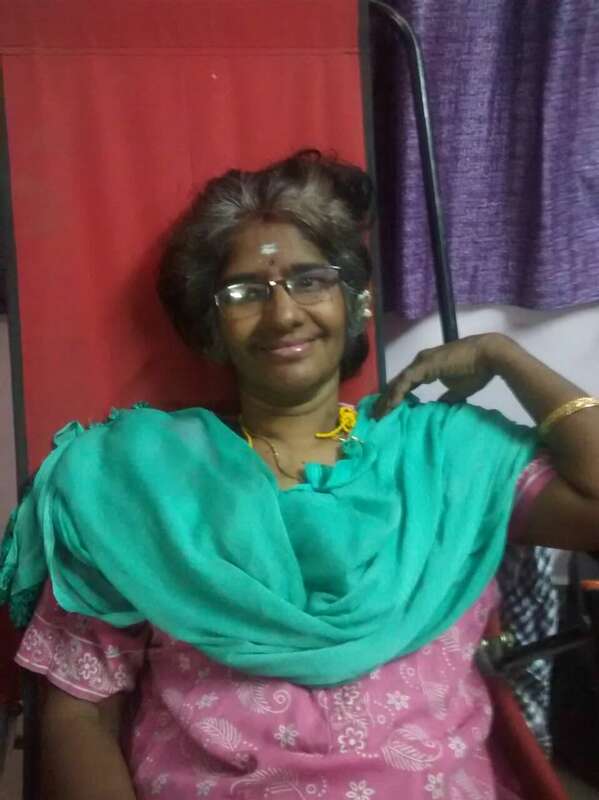 Ever since she was admitted to Porur Ramachandra Hospital, we have been in close touch with her daughter, Ms. Aasha. 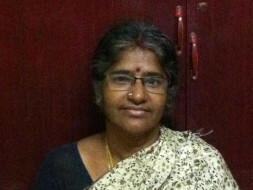 Mrs Banumathy regained consciousness and was discharged from the ICU on the 25th of May. After post-operative follow-up after her spleen surgery, her her limbs had become quite weak and so she was prescribed two weeks of physiotherapy to regain strength. She was admitted as an in-patient at a physiotherapy clinic in Arumbakkam, Chennai and underwent a full course of treatment. She was discharged last weekend and has finally returned home. She is slowly regaining her memory and has started interacting with her family members. Aasha sincerely thanks each one of you for helping the family during their days of need. This experience further reinforces our confidence in the goodness of the community and proves the power of the crowd - around which we at Milaap, have built the OPEN platform for fundraising. We are incredibly thankful to your patronage of our platform. My name is Sriram, I am a Milaap Open Fellow in Chennai. I was first informed of this unfortunate accident in which Mrs Banumathy was badly injured. We at Milaap quickly got to action to help Aasha setup a campaign to fundraise. On Aasha's request, a first disbursement of funds was made available immediately on Monday (9th May), to pay the outstanding hospital bills. I called Aasha this morning on the phone and inquired about Mrs Banumathy's condition. The initial swelling of the brain from the shock of the accident is slowly healing and thankfully, breathing has restored to normal with oxygen mask support, without the need for a Tracheotomy. She is yet to regain consciousness, however, doctors hope that they might be able to shift her from the ICU to a ward if her condition stabilizes this week. I will be visiting them in person once she is shifted out of ICU, to convey our wishes for her speedy recovery. Aasha thanks each and every one of you for your amazing support with such a short notice. She says it would have been unimaginable to raise such a huge sum of money required for the treatment otherwise. The campaign has raised ~6,00,000 INR as of this morning and we have just 25% more to go to hit our target. Please keep Mrs Banumathy in your prayers, and help spread the word and the fundraiser link to your friends and via social media channels.